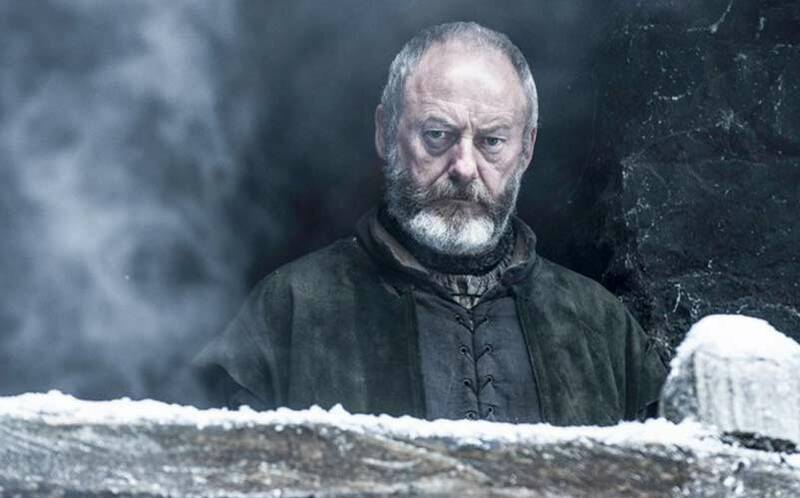 New Game of Thrones Season 6 Clip: Davos Defends Jon Snow | Nerd Much? Liam Cunningham was the guest of honor on last night’s Conan, and the Game of Thrones star brought with him a new clip from season 6. The scene, which you can watch above, shows Davos grabbing Longclaw, readying himself to defend the apparent dead body of Jon Snow. By the looks of it, the clip is from the Game of Thrones Season 6 premiere episode, “The Red Woman,” and it looks like it very well might set up the theory floating around which suggests that Melisandre brings Jon back to life. Of course, that’s just speculative for now, as the Red Woman isn’t even seen in the clip, but I can see it playing out in my head. Why else would Davos defend Jon Snow’s dead body? The clip also shows a noteworthy snarling Ghost, and it looks like he’s ready to take out some oncoming foes. Game of Thrones Season 6 will premiere on April 24 on HBO. My body is ready. For more on GoT, stay tuned to Nerd Much. And for everything we currently know about the upcoming season, check out our Season 6 hub.